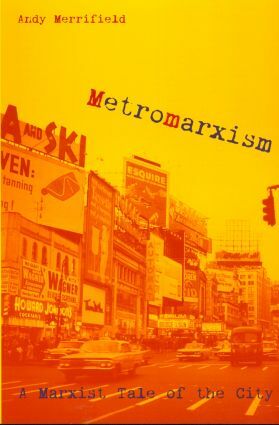 "Metromarxism" discusses Marxism's relationship with the city from the 1850s to the present by way of biographical chapters on figures from the Marxist tradition, including Marx, Walter Benjamin, Guy Debord, and David Harvey. Each chapter combines interesting biographical anecdotes with an accessible analysis of each individual's contribution to an always-transforming Marxist theory of the city. He suggests that the interplay between the city as center of economic and social life and its potential for progressive change generated a major corpus of work. That work has been key in advancing progressive political and social transformations.